It was wonderful seeing everyone again in LB California. It is such a beautiful place to be. 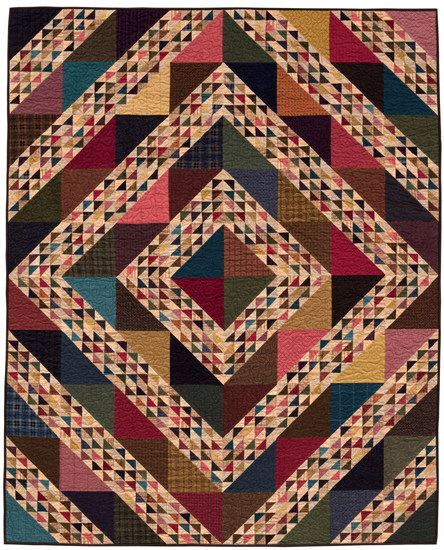 If I had to choose between any of the quilting shows, I would go to Long Beach. Carole and I walked the beach boardwalk a couple of mornings, these were the first couple of days after that we were too pooped to walk 4miles and then do the show for 9 more hours. Guess what…Long Beach loves me too! I spotted a window in town that said I (heart) L B….ok…maybe not, but It would have been cool if it was for me….But our favorite place to eat is across the street from the convention center by the marina…the Yard House, I think we ate there every night but one. After the show on Sunday, we kissed Nick goodbye and he started off his 36 hour journey home…Carole and I took the Redeye home on that night, getting home in Appleton around 9am. While in Long Beach, my Mom called and told me my basement, which happens to be my sewing studio and storage and long arm area had 2″ of water in it from all the rain we had. All I can say is I am very lucky to have such good, family, neighbors and friends as they proceeded to unload my whole basement and put in a new sump pump (the old one died from over use) and mop and dry it all out. They removed everything but my big sewing tables and machines. They saved everything but some copy paper and paper towels and magazines. Mom said there were about 12 guys hauling and her and her sister giving orders and such. So this is what I came home to on Monday…Mom and my sister-in-law Amy were waiting to help me put my room all back together…It took us most of the day but, it sure looks nice now. 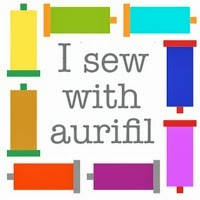 On tuesday I had to write a few patterns for the workshops I was going to teach in MO. so I had to remake the notebook cover I was teaching to make sure I had it all right. Nancy, helped me get all this ready and we had to do a bunch of copying for the block of the week and freebies for that next week before i could leave, Nick arrived home on Tuesday night at 10:30pm to bring me to the airport the next day..what a guy…..somehow it all managed to get done and I managed to pack on Wednesday for my 12pm flight out to Kansas City International Airport. 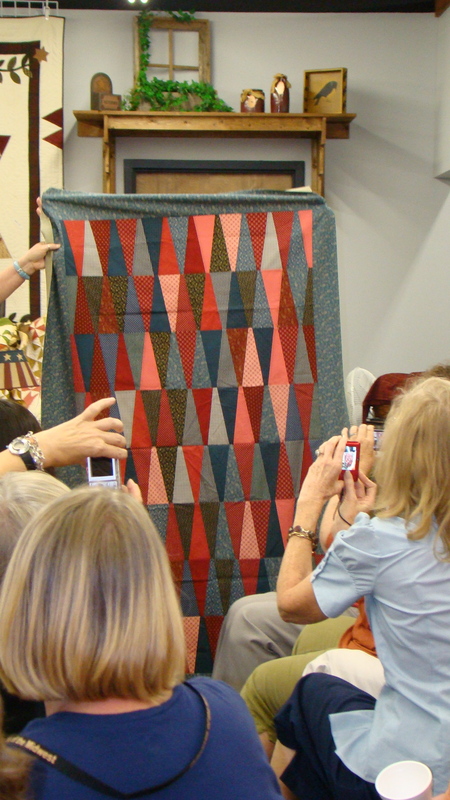 I love going to Primitives of the Midwest… the first night Wednesday, Jennifer Keltner Executive Editor from American Patchwork & Quilting (Better Homes & Garden) gave a trunk show on current quilts from a most recent issue and then a sneak peak at some that are coming up… Jennifer is a hoot and kept us laughing all night. 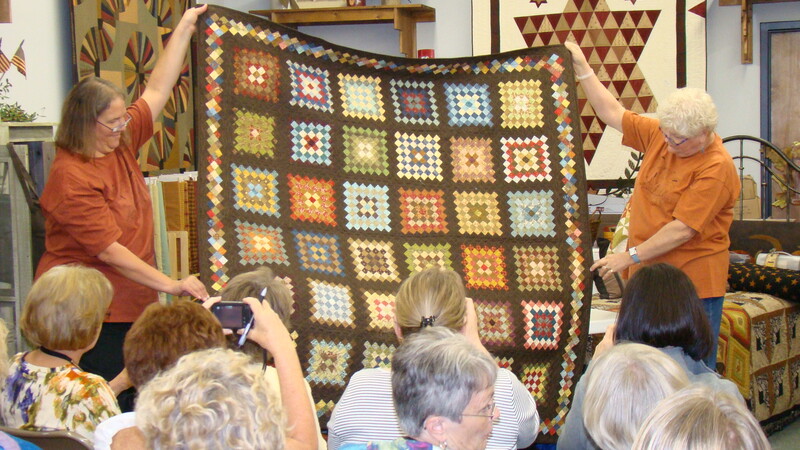 Here are a few of the quilts they are so much better in person, than in the magazine. 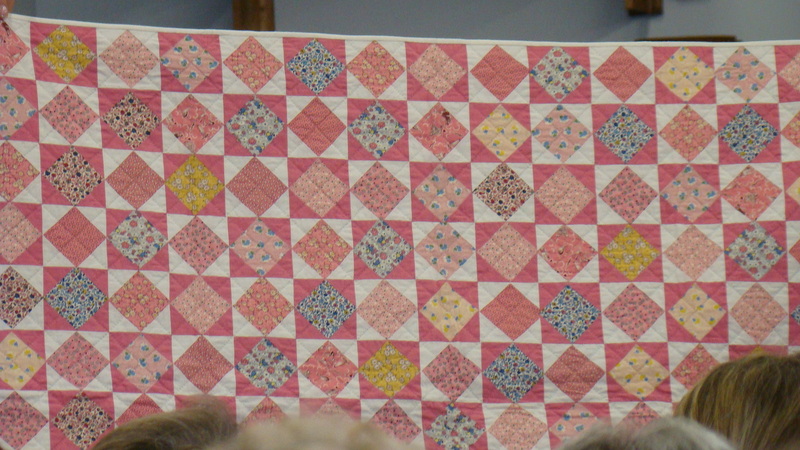 GRANNY SQAURES QUILT BY LISSA ALEXANDER....I LOVE IT, LOVE IT LOVE IT! 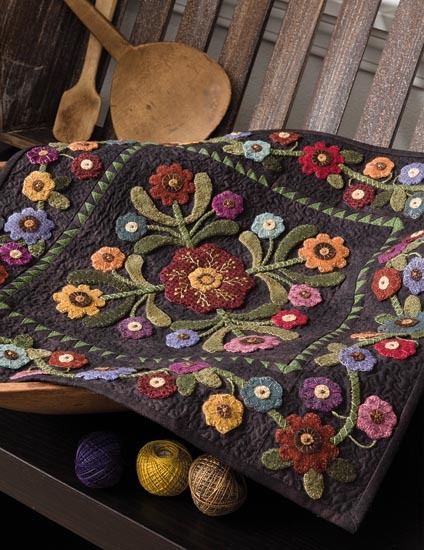 Wow – those are great quilts, I just receieved my copy of the magazine that had a few in it. Lucky you getting to see them. It sounds like you had a great time and a lot of people at home to help you out, that is fantastic. great to see the pictures from Primitives of the Midwest. 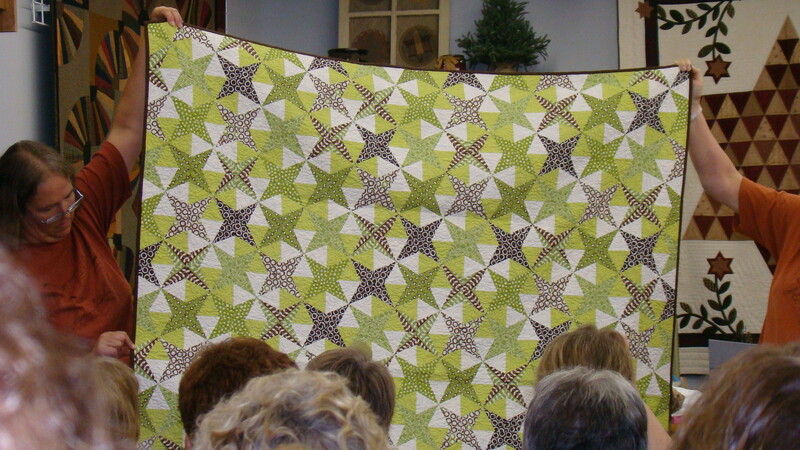 Thanks for sharing the picture of my Plaid Tidings quilt. I agree I LOVE Lissa’s quilt it is just beautiful. 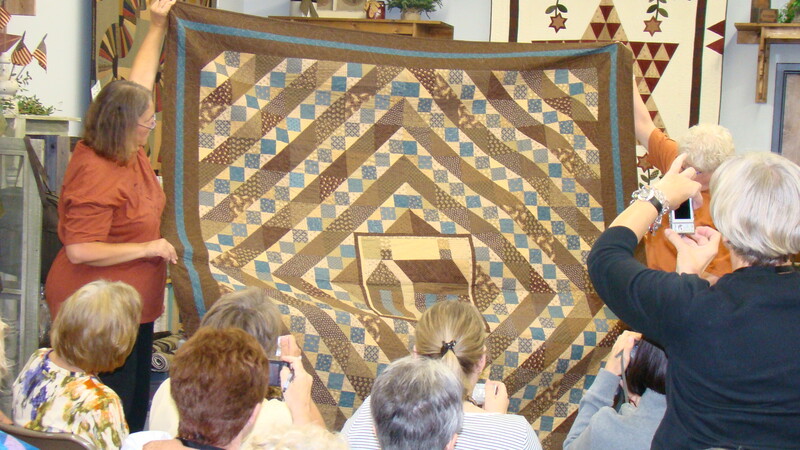 Kathie…your quilt was AWESOME too. I noticed every plaid was going the same direction…what a feat to accomplish that. 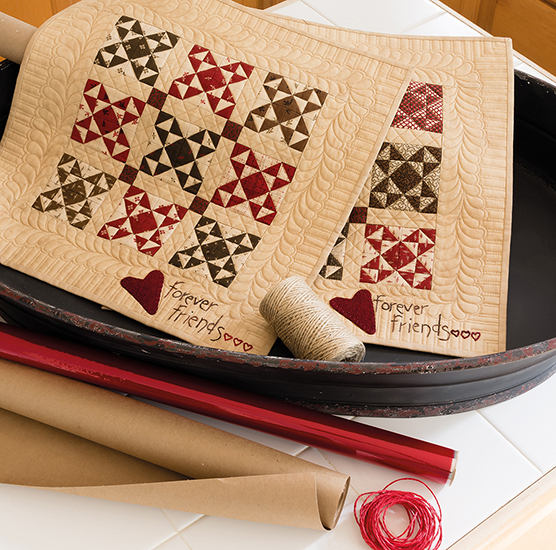 We all love scrappy quilts. If you are ever at a show or market, please introduce yourself to me, I would love to put a face with your name. 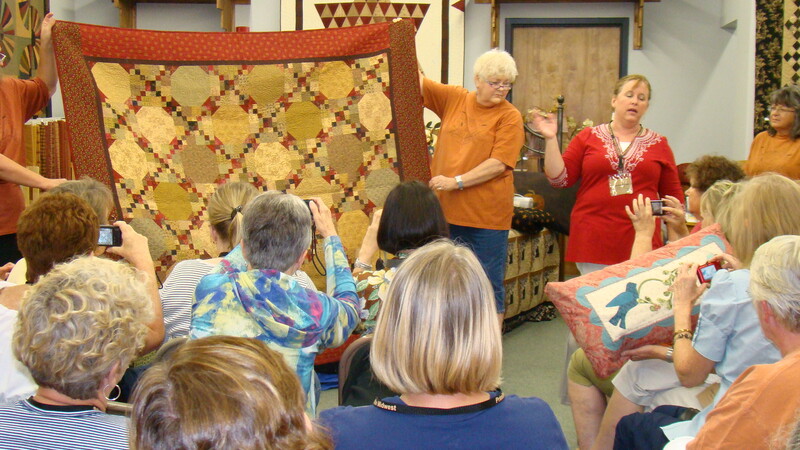 That was great and so nice to those quilts in the American Patchwork and Quilting magazine! OMG Lisa to hear what happened in your studio must have been a shock! How wonderful of your Mom to organize the clean up ensuring all was ready for your return; what a great MOM! First hail, then a flooded basement….you and your family/friends are troopers!! I am envious of your positive attitude….not sure I could carry on like you have….your customers thank you!!! What wonderful friends and family, to enable you to come home to a clean basement. That would not have been fun to come home to. 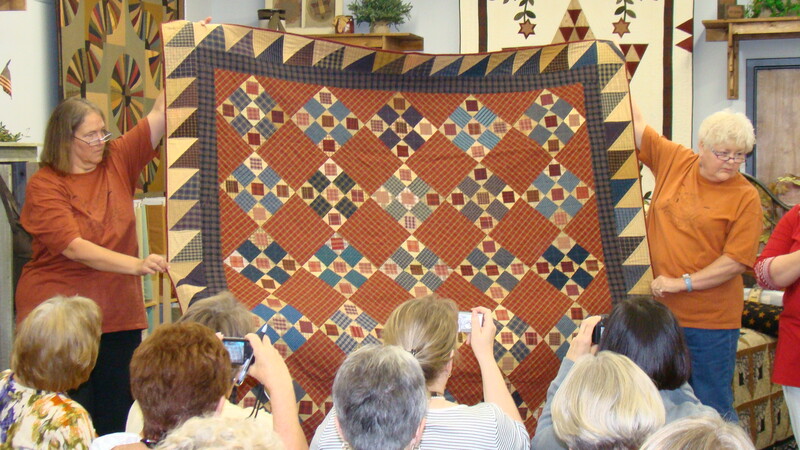 The quilts are amazing and beautiful.